Here's an important update for those using Twitter to cast their votes in March Mayhem. Greetings, game fans! 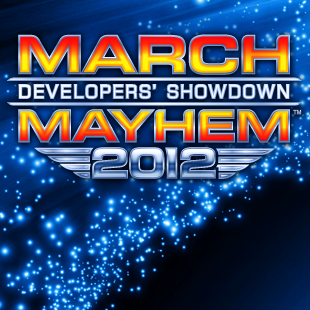 March Mayhem is in full swing and just about to enter it's third round of voting later this week. However, we wanted to let you know of a possible issue for those who are using Twitter to submit your votes. As it turns out, Twitter has a spam filter that may sometimes kick in and prevent users from posting anything if they happen to send out a great number of tweets within a short period of time. The lock-out will prevent users from using Twitter for approximately 10 minutes, but after that time has passed they will be able to use Twitter normally. If you've been using Twitter to cast your vote, the easiest way to avoid this lockout is to simply take your time when casting your votes. If you find that you've inadvertently triggered Twitter's spam filter or are receiving error messages, just take a few minutes before trying again and you should be all set.